Preisch Hole 3: This straight par five is fairly wide open with the only real trouble being the wall running down the entire left side that marks the out of bounds. The key to the hole is the well-bunkered green, highlighted by a central bunker about 30 yards short of the green that eliminates any attempts to run up onto the green in two. 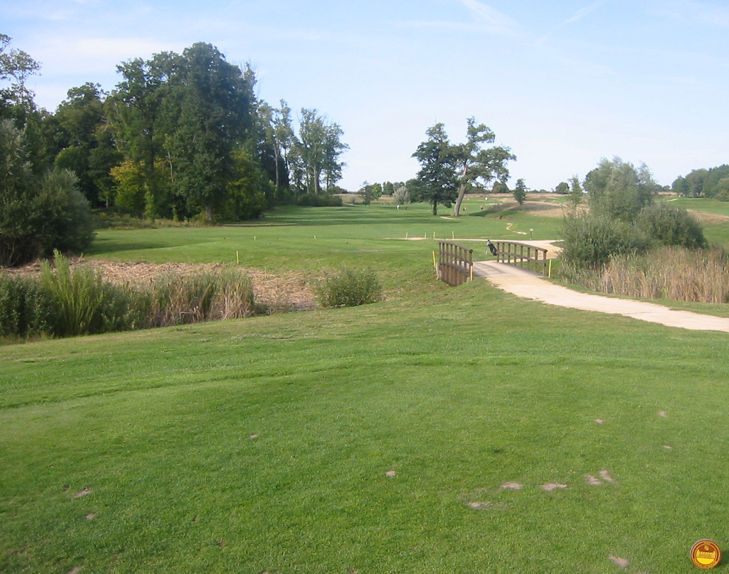 Preisch Hole 5: This par five focuses on the placement of the 2nd shot, which must stay left of the hill and right of the lake to leave a short approach to the green over the water. 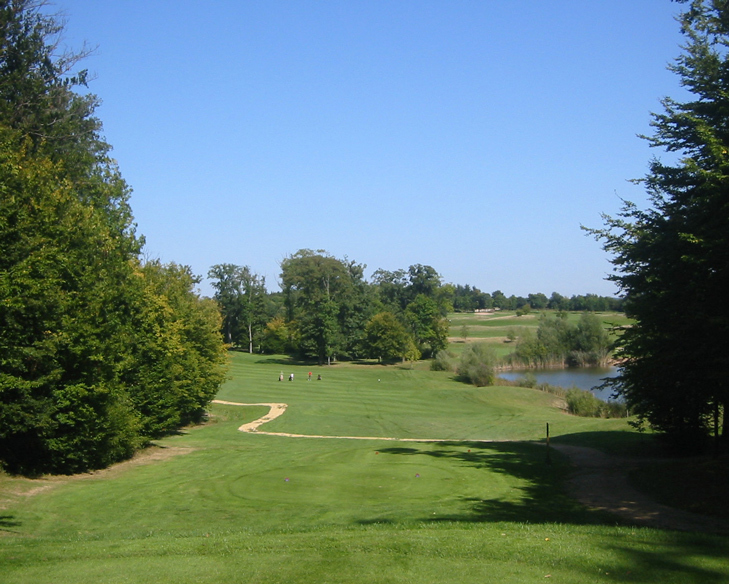 Preisch Hole 7: The prettiest hole at Preisch features a drive between a shoot of trees, with a lake on the right side of the fairway. The hole then bends to the left around a large tree towards the large green that slopes heavily from back to front and has a large bunker in front and drop-off behind it. 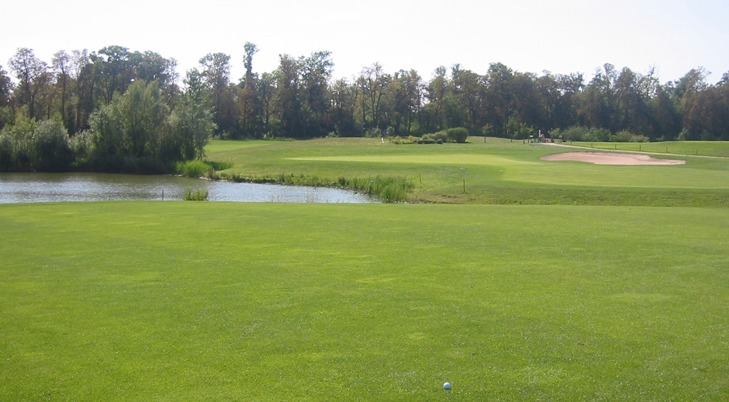 Preisch Hole 15: This long par four has a little creek that cuts across the fairway, diagonally and is very much in play. Although not filled with much water, it is deep and will cost a stroke, and so must be avoided. The other obstacle off the tee is the large trees at the right edge of the fairway. The approach is then uphill to a fairly receptive green. 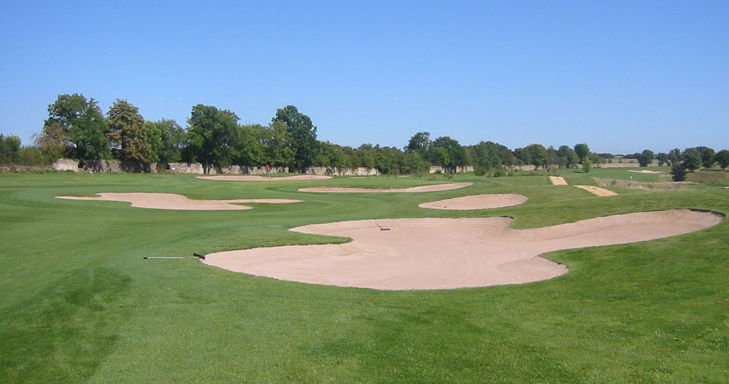 More European Golf Course Reviews.